Here’s a popular and effective diet that was ranked “Best diet” by U.S. News and World for eight years straight. People are getting phenomenal results with the Dash diet and its benefits are as good as you could ask for. It’s consistently ranked as the best diet in many lists and publications as well which means it must be all it’s cracked up to be. It’s a simple concept and focuses on food group efficacy for putting together healthy meals. There is a strategy to anything effective and the Dash Diet is no exception. 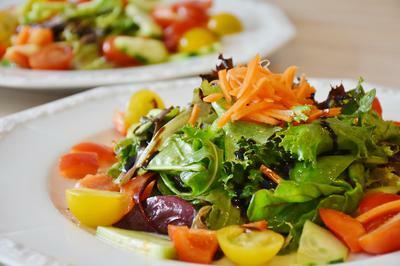 The Dash diet is rich in fruits, vegetables, lean meats, whole grains, and low/non- fat dairy. The Dash diet does all the right things and it is recommended by several of the top health organizations. These include the National Heart, Lung and Blood Institute and The Dietary Guidelines for Americans. If a diet program has good standing with major health associations, then it most likely is very effective. Anyone from adults to children can benefit from the Dash diet since it is nutrient dense and includes everything you need in your diet. You can also follow this diet long-term as we as humans need a variety of nutrients. The Dash Diet makes sure that you never become deficient in anything and many people run into that very problem with other diets. If you’d like to experience the amazing results that many are raving about, consider giving the Dash diet a try! You have nothing to lose… well maybe some extra pounds.